I am now taking bets: How long do you think it will take to repair this damage? 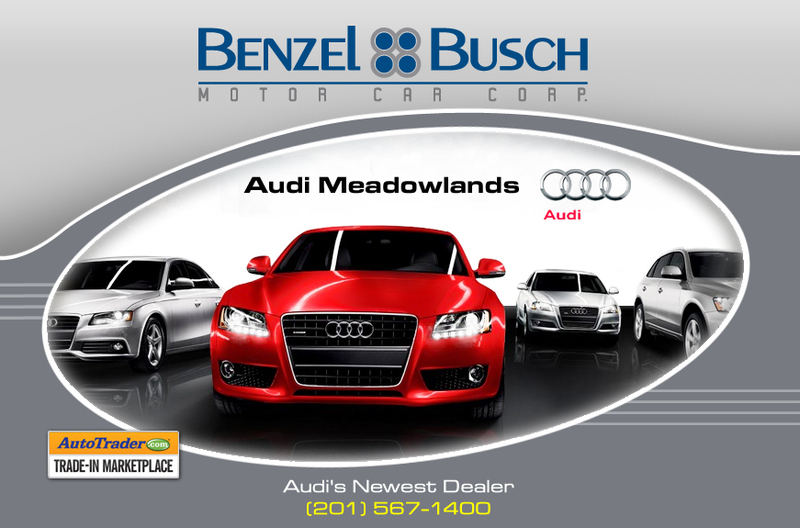 Last week I drove to an appointment at the Meadowlands Audi’s repair facility. 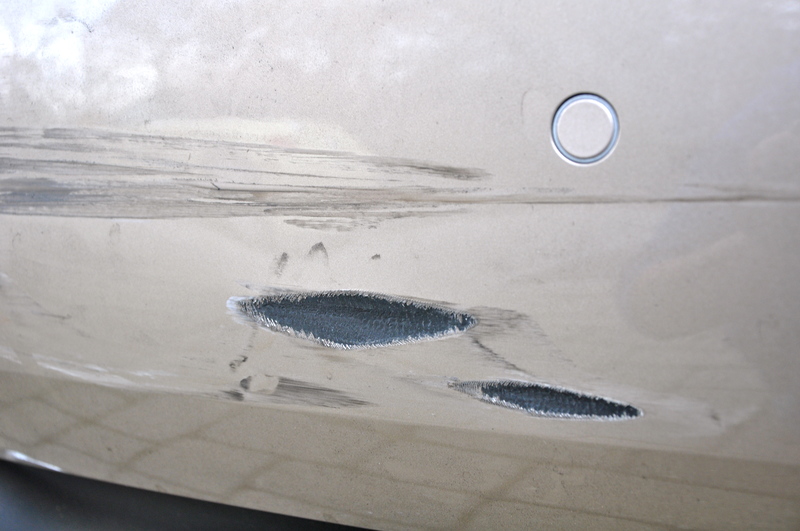 I thought I was going to find out how much it will really cost to repair the damage to my 16-day-old car’s bumper. Instead, Jose, my service liaison, looked at me puzzled, explained that I needed to leave the car because the process of estimate/repair is done all at once; he took photos of the bumper and asked me to make an appointment to bring it back for the all-in-one estimate and repair. When I asked he said that the estimate/repair process would likely take two or three days, at most. I dropped my car off at 10:15 a.m. yesterday morning. I called at the end of the day to find out what the GEICO insurance adjustor had to say when he/she looked at the dismantled bumper assembly. Jose said the adjustor didn’t show up. Jose did say, though, that only the bumper was damaged in the accident so that made me feel a bit better. I love Edwin, my car salesman, but the Meadowlands Audi repair facility people? No so much, at least right now. I called Audi repair again this afternoon and left a message for Jose, my service liaison; he has not yet taken my call when I actually call him, but I guess that’s besides the point. Jose called me back a while later and said that the GEICO adjustor didn’t show up again today. I asked for the adjustor’s name, but Jose said he doesn’t deal with the adjustor directly and had no knowledge. I asked to speak to Audi’s service manager; Jose made a kinda half-horrified sound and said he would try to get the service manager to call me back. Imagine that. A service manager who doesn’t appear to return customer calls. Huh. Meantime, I called Mike, the GEICO adjustor I visited two weeks ago; he’s the one who started the claim process for me at one of GEICO’s drop-in accident assessment facilities. He is not the adjustor who might someday appear at the Meadowlands Audi repair facility to assess the bumper damage; however, at this point I thought he might help. He did. Sort of. He accessed my claim information in GEICO’s computer system and said no one has called/been in contact with GEICO from Meadowlands Audi repair. And he assured me that no one from Audi called him directly, even though I left the estimate assessment from Mike at the Audi repair on Monday with my car. When I did I pointed out Mike’s contact information to Jose. Do you think the Audi dealer repair shop is giving me the runaround? Stay tuned. Mike the adjustor has Wednesdays off. Will he pursue my problem further on his day off? Will the Audi repair facility manager call me tomorrow? Ever? Will an GEICO adjustor who is not named Mike ever show up at the Audi facility? How long will the repair take once he does show up? Will the bumper be replaced or will it be puttied and painted? Stay tuned to learn more. I’m sure you’re sitting on the edge of your seat at the excitement I’m generating here. P.S. 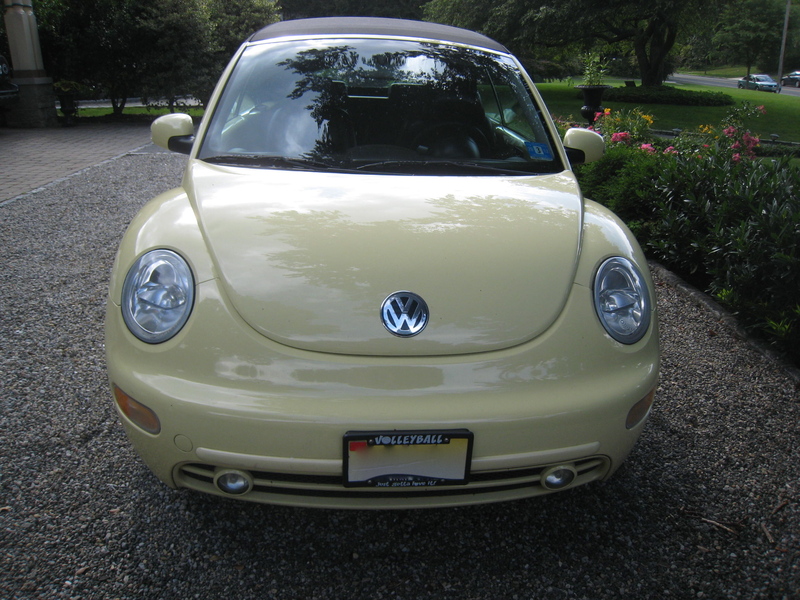 My daughter Tory and I dropped her beloved VW Bug named Sunny at a local repair facility to have Sunny’s oil changed and a burned-out front headlight repaired. I called late this afternoon to find out when I could pick Sunny up. Albert, our repairman, said Sunny had a couple of problems relating to the burned-out headlight: not only did the burned-out bulb need replaced, Sunny also needed a new headlight lens and gasket that keeps the whole shebang as a partial vacuum and protects the bulb. $331. Oh yeah. When he changed the oil Albert noticed that Sunny’s dipstick funnel was cracked and leaking. The dealer didn’t have that part in stock so I get to take Sunny back to the repair facility tomorrow to have her funnel fixed. $30. Plus the cost of the oil change. Sweet looking Sunny. . .money pit!